You are here: Home / Blog / Business / Is there a second valley of death for startups and scale-ups? Before we talk about the second valley, let’s go back in time to 1991, when one of the “must read” book for high-tech startups was “Crossing the Chasm: Marketing and Selling High-Tech Products to Mainstream Customers”. It was a book targeted at tech startups (yes, in the nineties we had those too) and focused on how to bridge the “chasm” between early adopters and mainstream customers. 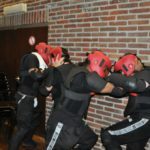 For a more in-depth intro, check out the wikipedia page. After crossing the chasm (what we would now call the valley of death I guess), came the ride up “inside the tornado” (yes, that was the follow-on book, still available on amazon). 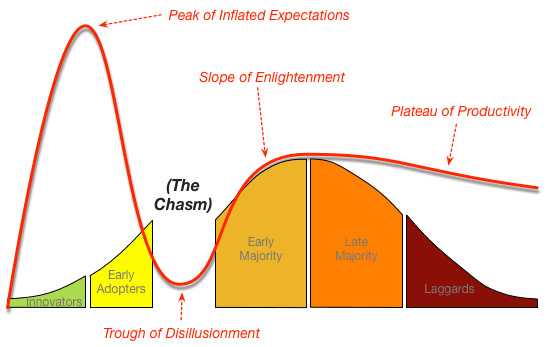 It becomes interesting when you also plot the visual of the chasm onto the Gartner hype cycle. It is often in the stages between getting from their early adopters into getting sustainable traction through larger and consistent sales that most fail. But for startups turning into scale-ups the story doesn’t end there. Recently, some articles popped up talking about the further challenges for scale-ups, namely in wat is now dubbed “the second valley of death”. What happens to companies once they have secured their first funding rounds and achieved product-market fit? According to the statistics, they’re not all successful in the long run. 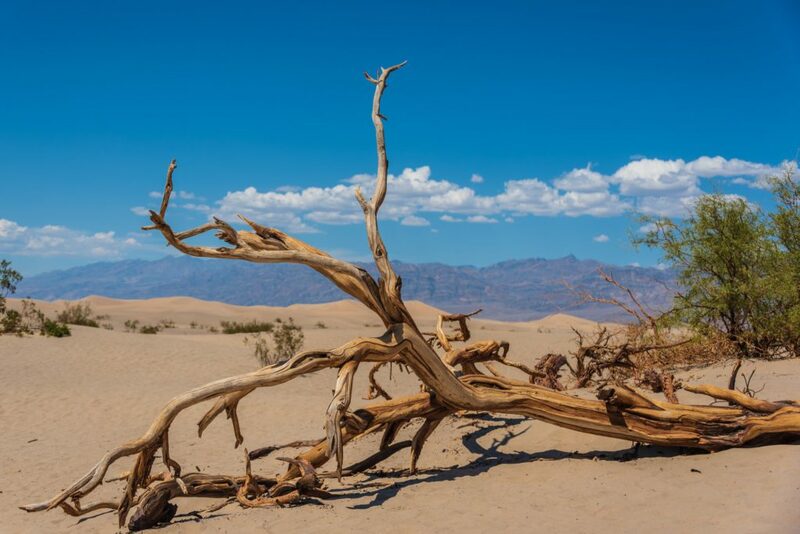 There are different opinions on what entails this second valley of death for scale-ups, and I tend to go with this one: overcoming the financial hurdles (i.e. later stage funding gap), and finding the right markets to truly scale up into. Getting your future funding secured on time is key, as the story of our local startups Collibra and Small Teaser illustrate. 2 great stories, yet quite different outcomes with one becoming a unicorn and the other forced to close shop due to a lack of further funding…. which actually prompted this article (in Dutch) about the lack of growth capital in Belgium for scale-ups. But Belgium is not the only one with this challenge, as this Australian story highlights – clear issues in later-stage funding. SO … don’t forget to start your next funding round on time, and don’t be shy to get out of your home market to find additional funding. Of course money is not the only pitfall when crossing the second valley of death. Have a look at the video below where Mahesh Kumar of Result talks about other challenges faced in the second valley of death. And if you’re looking for help, don’t hesitate to contact us at EYnovation. Mahesh Kumar on the second valley of death.